Rising production costs, worker troubles and unsatisfactory sales are the main reason behind this harsh step taken by Tata. The Nano was launched in 2009 with a sticker price of INR 1 Lakh where Mr. Tata said his now famous words “Because a Promise is a Promise” referring to a promise he had made a few years earlier about making a car at that price. The basic idea behind the Nano was to give the Indian middle class an option to buy a car with a small increment they were paying to buy a two wheeler. Did you know thew original design also had a “saree guard” to entice female buyers without the hassle of their traditional wear getting caught in the wheels. Comparing to Peoples cars worldwide like the German VW (Volkswagen, Volks: people wagen: wagon), the french Citroen 2CV , Russian Lada, British Jaguars , the Nano was the cheapest of them all. Nano also presented a lot more in terms of features like 3 nuts to hold the wheels, symmetrical dashboard with instrument cluster in the center so that everyone in the car can see the speed and be terrified and start praying. The official announcement also said that the Sultan of Brunei has agreed to buy all of the last days production of the historic Nano to keep in his large car garage besides his Rolls Royces, Lamborghinis and Cessna Jets. The Nano played a very important role in Arvind Kejriwals rise to the top post of CM in the capital city as it was the only car which could take his supporters through the horrible Delhi traffic to wherever he had his Dharna Andolan. For Indian Petrol-heads, the Nano will always have a special place in our minds as we have seen the car evolve into a true engineering masterpiece rivaling the German quality of workmanship and attention to detail. Thank you for paying undivided attention to this piece of article but, if you haven`t figured it out by now, it was just a sincere attempt to involve you in our April Fools day celebration. All things aside, we assure you our team at AutoColumn is serious and dedicated to keep you up-to-date on latest news and reviews on your favorite cars and bike. 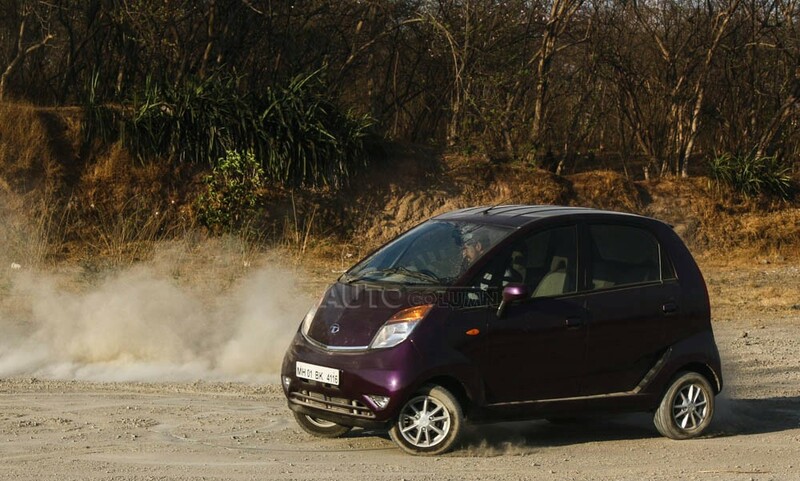 Tata Nano Twist launched. Priced at INR 2.36 lakhs. Suiting The Trend Enters The 2017 Tata Tiago AMT!